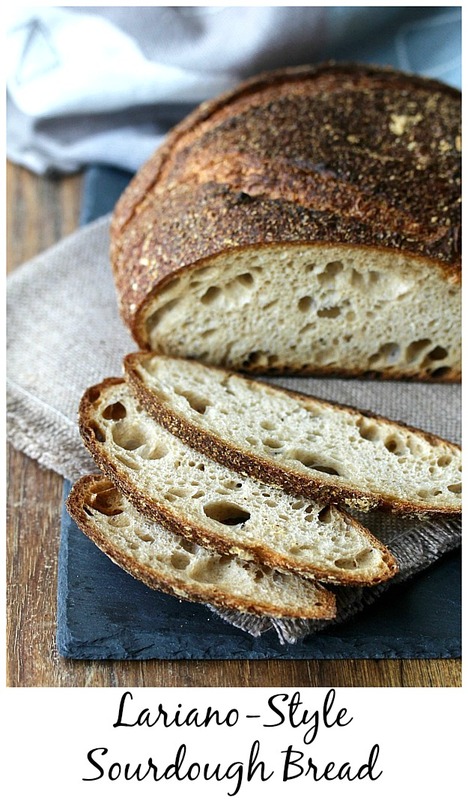 This Lariano-Style Bread is a strongly flavored sourdough bread and is wonderful served with cured meats, smoked fish, or a garlicky bruschetta. It's origins are in the Lazio region of Italy, just outside of Rome. The bread is traditionally baked to a deep brown color in a chestnut wood fired oven. 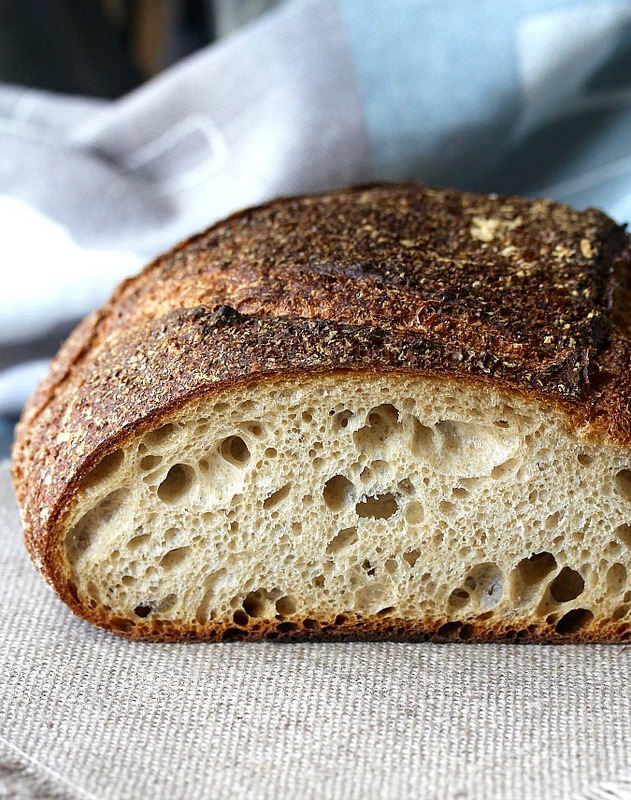 This Lariano-style bread begins with a firm sourdough starter, or lievito madre. I used my 100% hyration (flour to water ratio) to build a firm starter. This pane di Lariano takes some time to make, but the flavor of the resulting loaf is worth the time. First, you will need to get your starter all bubbly and active by feeding it as you normally do. 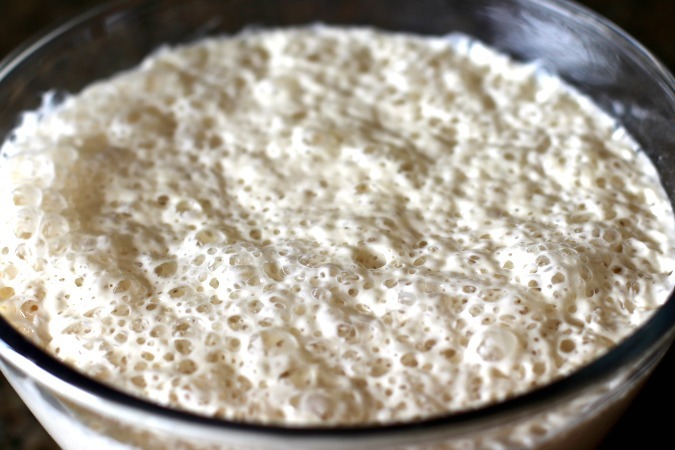 I don't make sourdough every day, or even every week, and I keep my starter in the fridge, so I was happily surprised by how bubbly mine became with just one feeding. Isn't this a beautiful sight? 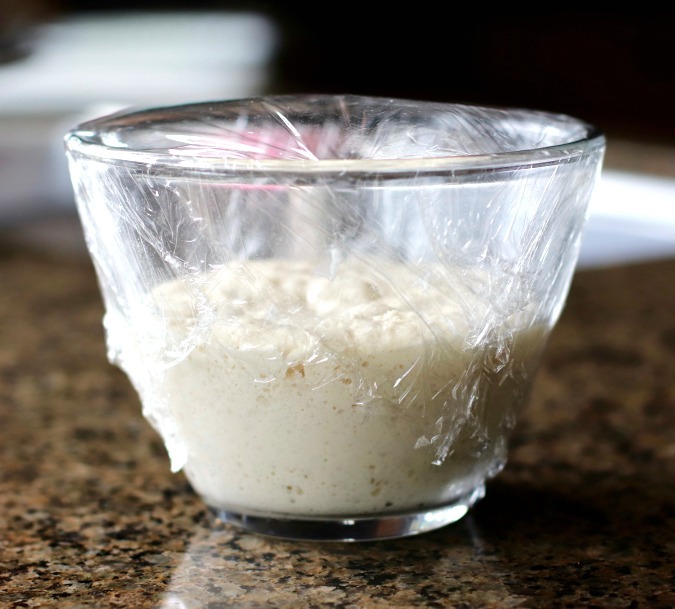 Once you have an active starter, you will need to create a stiff starter, or a "biga." This biga actually contains a bit of salt. It takes about 24 hours to develop, but once it's tripled in size, it will be ready to give your dough all it needs to rise. And here it is 24 hours later... it's a beautiful thing! There is an attempt by the folks of Lariano in Lazio to obtain the Indicazione Geografica Protetta (Protected Geographical Indication) trademark for this bread, so far only achieved by Pane di Genzano, also from Lazio. In the meantime, hopefully the Italian bread police won't come after me! 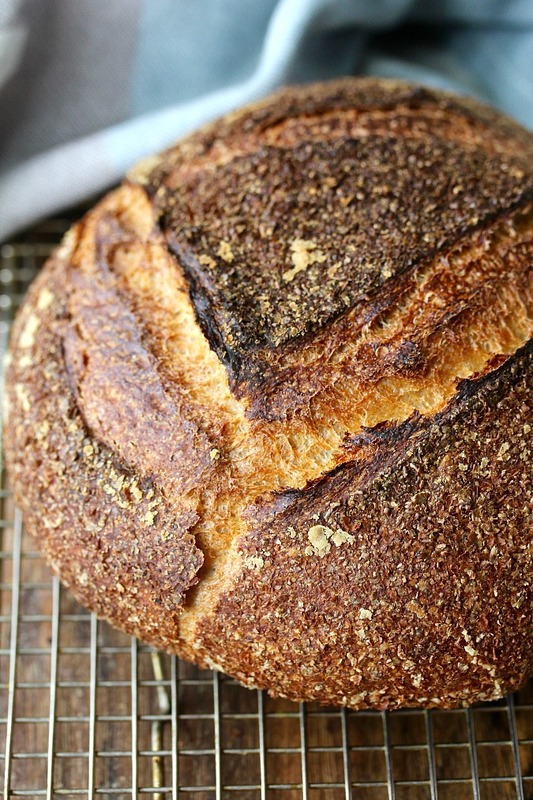 This month, the Bread Baking Babes, hosted by Elizabeth of Blog from OUR Kitchen, are baking Lariano-Style Bread, inspired from a recipe in the book, The Sullivan Street Bakery Cookbook by Jim Lahey. I already owned his books, My Bread and My Pizza, so when he came out with this new book, I "needed" it. We really enjoyed this bread. It has an amazing power to stay fresh for several days. I took a couple of slices to work when I was running late and put them in the toaster. Suddenly, everyone was wondering "what smells so good?" After the recipe, be sure to check out the rest of the Bread Baking Babes' results with this recipe. Mix the water, starter in a small bowl. Add the flour and the salt. Using your hand, briefly knead the dough in the bowl to incorporate all of the ingredients. Cover the bowl with plastic wrap, and let rise for 24 hours, until tripled. In a large bowl, whisk together the flour and the salt. In another bowl, mix together the biga and the water to dissolve the biga. Add this mixture to the flour mixture, and mix with a dough whisk or wooden spoon until the flour is just incorporated. 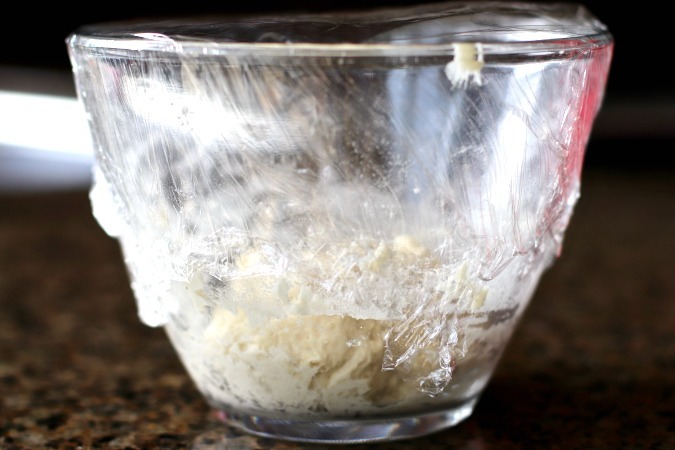 Cover the bowl with plastic wrap and let rest for 20 minutes. Every 30 minutes, stretch-and-fold the dough over itself from all four "sides" until you have done this 6 times (over 3 hours). At this point, the dough is ready to shape. Line a banneton or bowl with a tea towel, and sprinkle it with a mixture of wheat flour and rice flour. Then sprinkle it with wheat bran. Turn the dough out onto a lightly floured work surface, and shape it into a tight ball. Place the dough, seam side up, into the prepared banneton/bowl, and cover with oiled plastic wrap. Let rise until doubled, about 1 1/2 to 3 hours. Place a Dutch oven into the oven and preheat it to 450 degrees F.
Once the dough has doubled in size, remove the Dutch oven from the oven and remove the lid. Place a piece of parchment paper lined plate over the dough, and flip the dough over so that the bowl is upside down. Remove the bowl and the towel. Lift the dough, parchment and all, and place the dough into the hot Dutch oven. Slash the dough in a triangle pattern, cover with the lid, and place the pan in the oven. Bake for 35 minutes with the lid on. Remove the pan from the oven, transfer the loaf to a sheet pan, return it to the oven, and bake for another 10 to 15 minutes, until the loaf reaches an internal temperature of 205 degrees F and the crust is dark brown. Cool the loaf on a wire rack for at least an hour. Your bread looks perfect!! 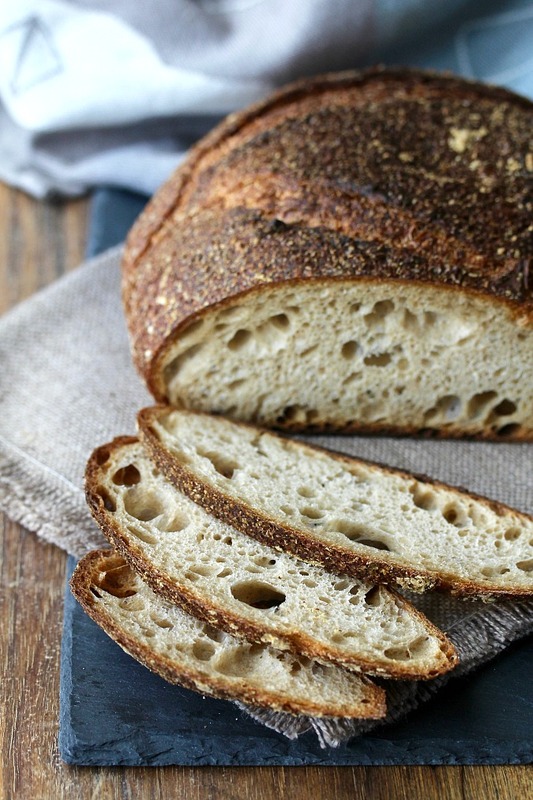 The crust is so beautifully dark and the crumb creamy coloured. I really like that your work mates were all saying "what smells so good?" And yes, it does stay remarkably fresh, doesn't it? It did! We actually enjoyed it for almost a week! I love how it looks with the bran dusted on top! Totally gorgeous crust. The whole thing is beautiful. Thanks Kelly. I'm a huge fan of using bran for dusting. Ah yes I just knew yours would be stellar! Always feel a little crazy when I write "wow what great holes!" Love that starter photo. Great taste even when I didn't give it all the time it needed. Love the super dark crust and all the lovely holes. 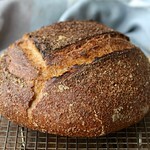 It really does smell wonderful baking and toasting...bet your coworkers will want you to bring them a loaf! Chestnut wood? I'm not sure but I think I need to go to Italy and find this bread.... Although, I could just come by your house..... Steller, indeed! I think you're closer to Italy than my house, lol!! Karen your crust looks perfect and just look at all of those holes! Beautimus!